Performing their 1979 hit song 'We Are Family' Sister Sledge got the Miss World audience dancing and singing along...to what felt like a global anthem. 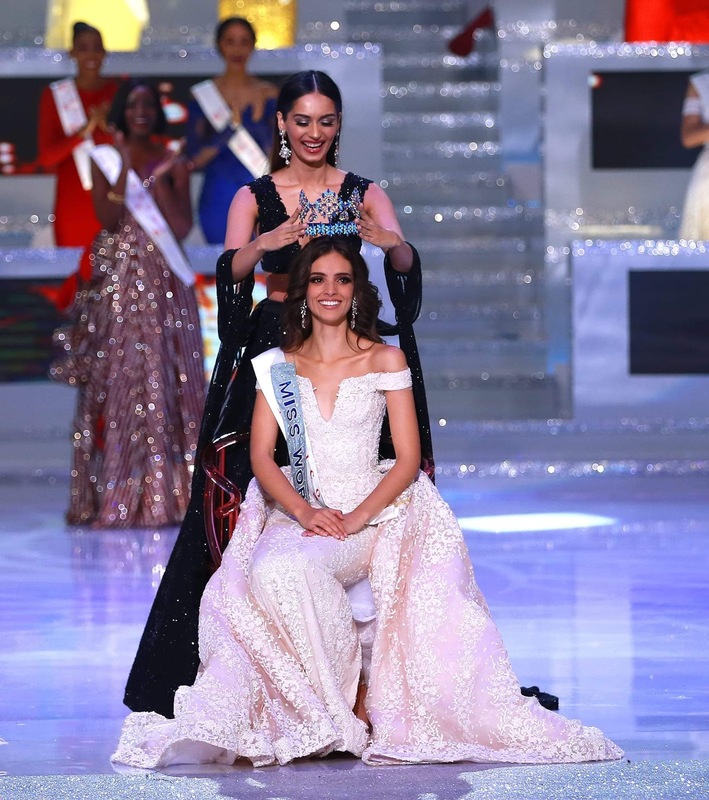 Then Manushi Chhillar, Miss World 2017, took to the stage for her final walk looking stunning as she prepares to pass on the Miss World Crown to her successor. Then the time came to announce the new Miss World! Taking her place as Miss World Americas is Panama. Joining the Continental Queen family is New Zealand as Miss World Oceania. 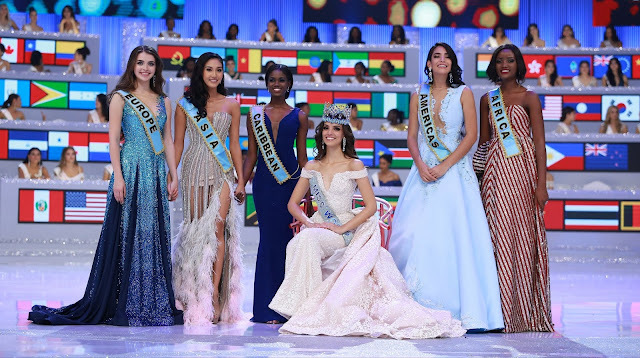 Now all these ladies get to travel with our new Miss World, Vanessa Ponce de Leon, on the Miss World 2019 Beauty with a Purpose tour. In another surprise announcement this evening all five Beauty with a Purpose finalists will also be joining the tour. 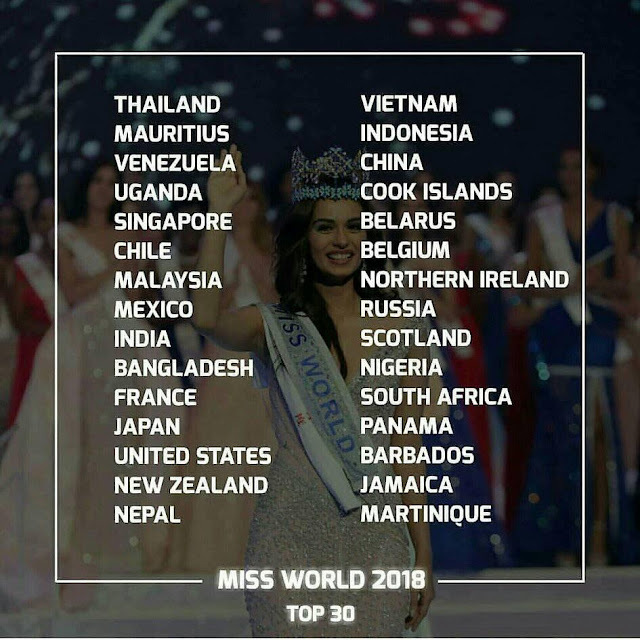 "FULL LIST The Winners Of Miss World 2018"